yay! 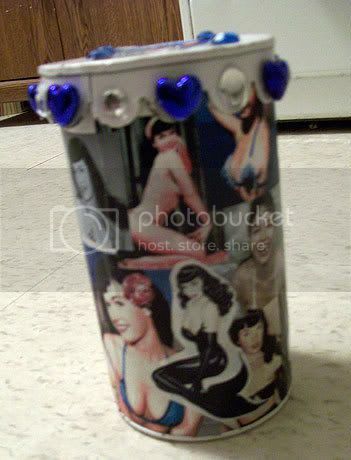 I Love Miss Bettie, and Now, I can keep my Teas, and whatnot in STYLE!!! Aw Thank you!!!! Yeah, She's been a favorite of mine for a LONG long Time. I collect her memorabillia, and have TONS on books/Stikers and doo-dads....Thank you again!!!!! so cute! I love the Oliva oil paintings of her, I love that you included one of those! THank you ! Yeah, I LOVE all of Olivia's Reditions of Bettie. They are truly Breathtaking!!! 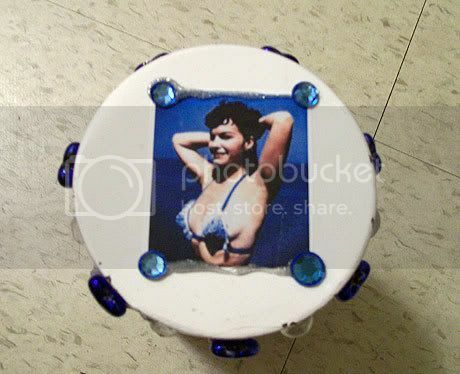 I'm waiting for the resin to dry on my Bettie Page bottle cap ring. I'll have to post it when it's done. I had to show this to my 16 year old-she LOVES Bettie! Great job!!! YAY!! !I'd LOVE to see it! post it up here so I can SEE!!! 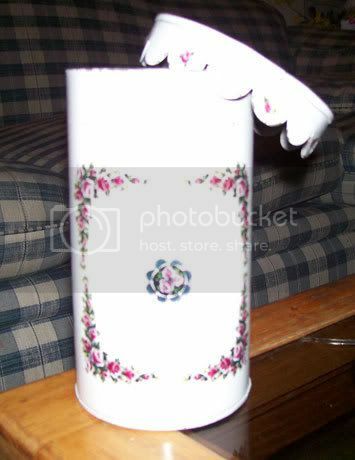 ha ha ha!Thank you!That pic is on the other side of the can! She sure is SUPER!!! YOur 16 year old has FABULOUS taste!!! and thank you!